This grill is absolutely incredible. I am completely in love with this style of cooking that I’ve never seen before. It felt so nice to just be able to see my food being cooked on one type of unique Japanese grilling called Robatayaki. They have a spinning grill that was especially made for them. Upon seeing it I instantly fell in love. 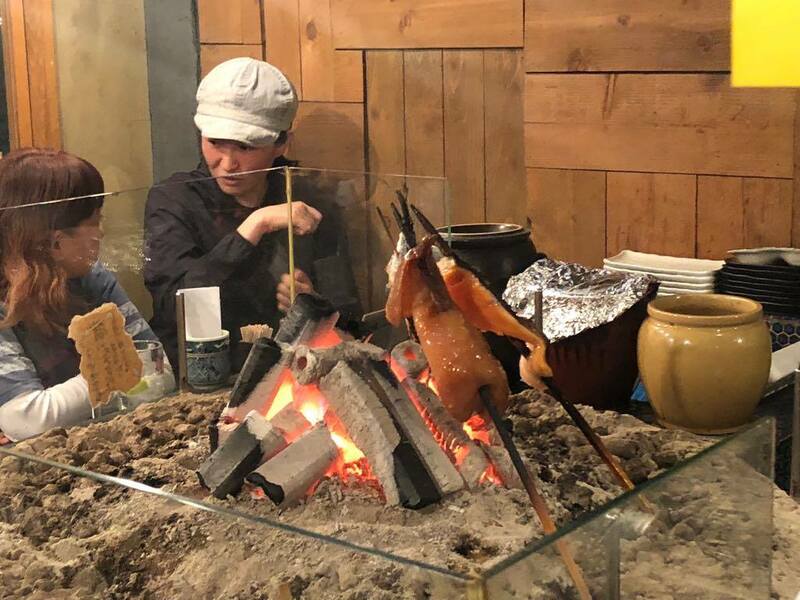 Never in my entire life have I seen something as beautiful as watching fish and chicken burn to the most succulent point where the meat just melts in your mouth. It’s one of the best places I’ve ever visited (on various occasions) to in my life. Soothing to view as it turns around and around while having an amazing meal with beer in a safe environment. 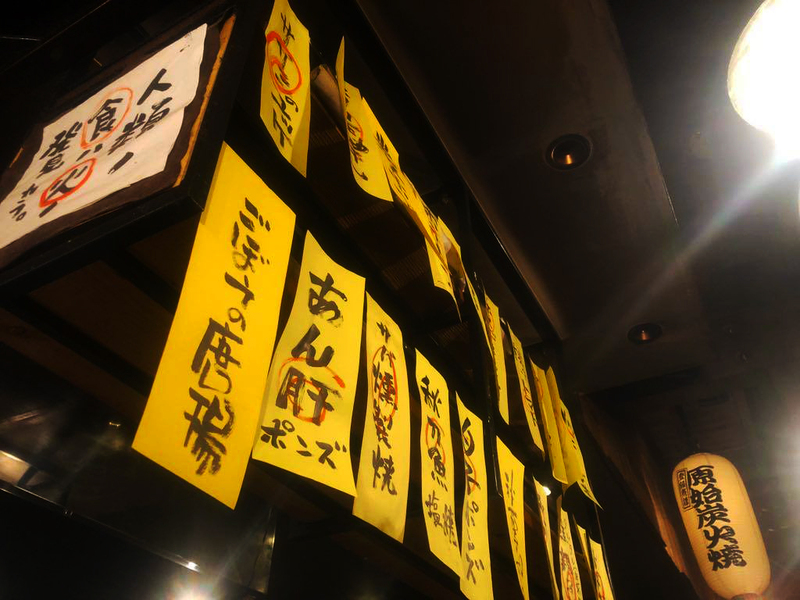 As an izakaya, the whole area is for smoking. There is no regulation for it and this can really push people away who are unable to tolerate the smell of smoke. This limits a portion of tourists who just cant withstand the fumes due to allergies and irritation. Its sad cause they’ll miss out on enjoying these types of areas. 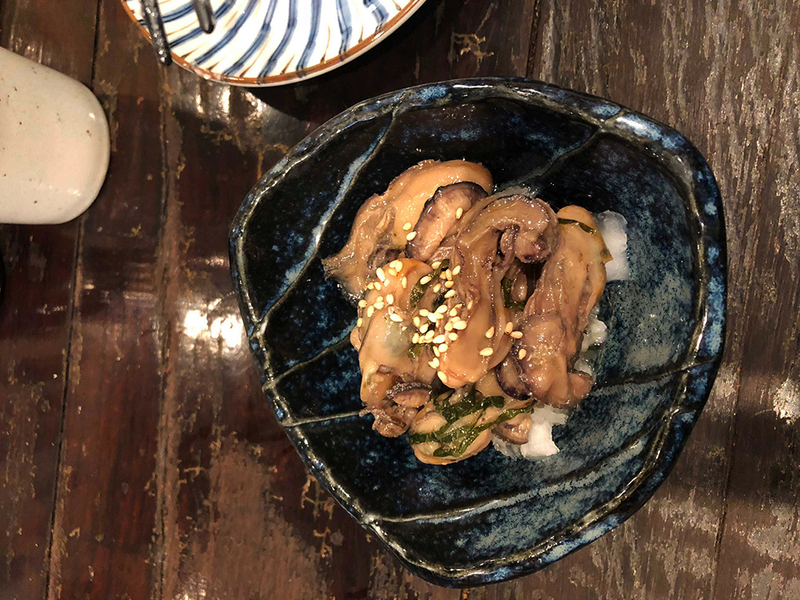 Delicious oysters sleeping on a bed of onions with sprinkled sesame seeds on top. 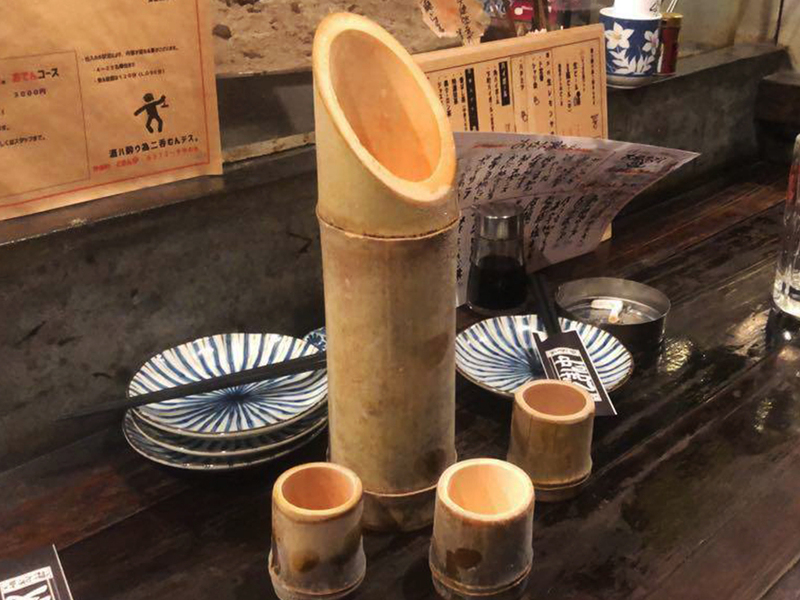 The way that they serve the sake is in ice cold bamboos. The menu could use an update as they seem to continuously write on various sheets of paper by hand every week. It would be a better alternative to install chalk boards around the local to help preserve more trees. so must t and not designed digitally to later be printed out. They do this because they change ingredients of their dishes to try to offer new combinations of flavors. The market as well creates shifts in prices causing the products to be unaccessible to purchase do to the season. Frozen bamboo served with ice cold sake. 🍶 It just flows down your throat so smoothly. The location is in fairly close to two nearby stations which also makes it an area to be able to visit and leave frequently if you need to be somewhere. At around 10pm they begin to turn off the grill. Last calls going to come up before you know it so it’s only a shame they’re open only until 11pm. Although the hours can be extended it until 12pm. It’s a wonderful place to go. 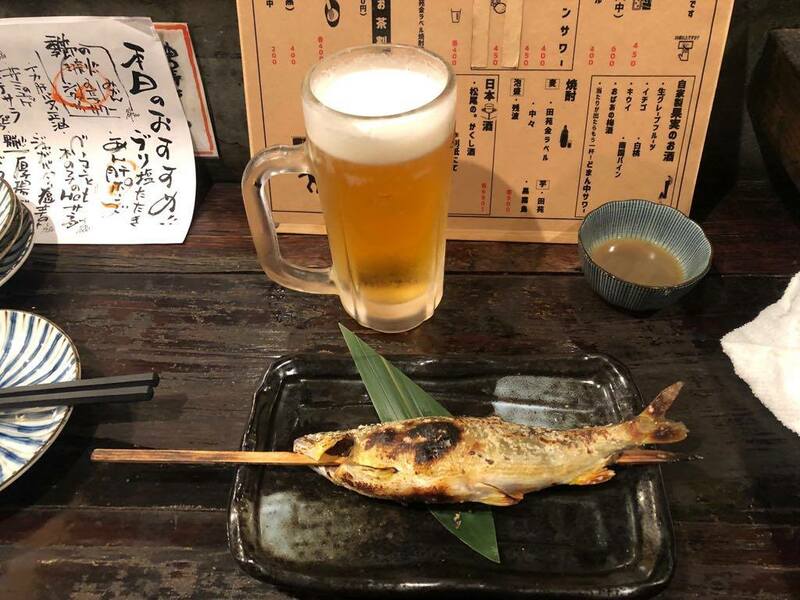 You’ll spend around $20 – $25 (or roughly 2,500¥) for a nicely cooked meal and beers starting at $5 (500¥). These really are incredibly lovely people. 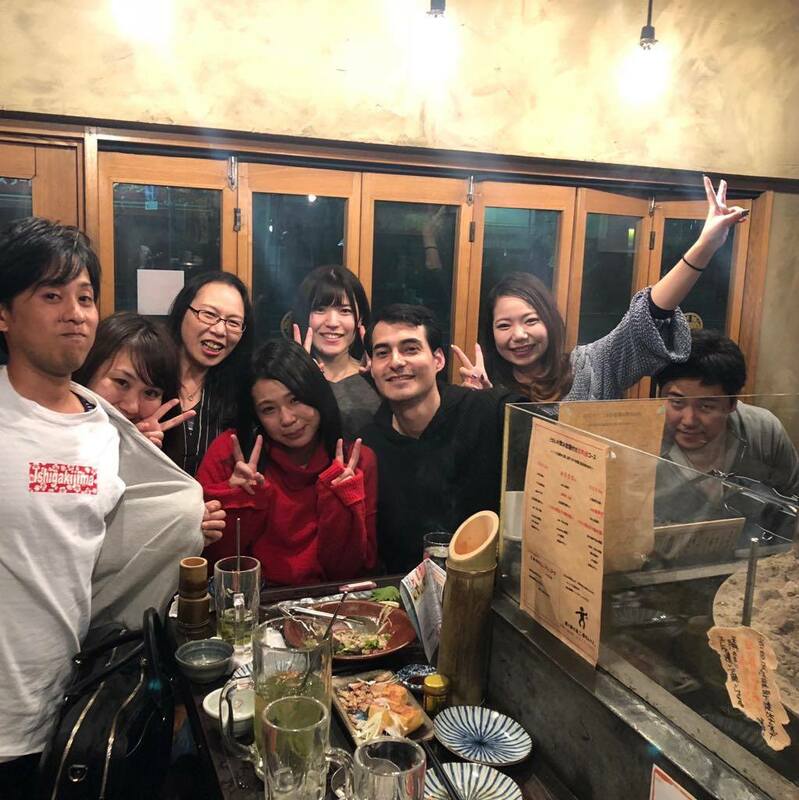 Each one of them treated me kindly and were always delighted to share their time, attention and sake.